Space on the flap for accessories and day essentials. 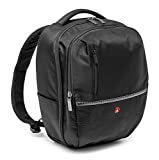 This entry was posted in Discount Photography and tagged Advanced, Backpack, Black, Camera, Carry, Case, DSLR, Gear, Manfrotto, Medium by Ball Photo. Bookmark the permalink.